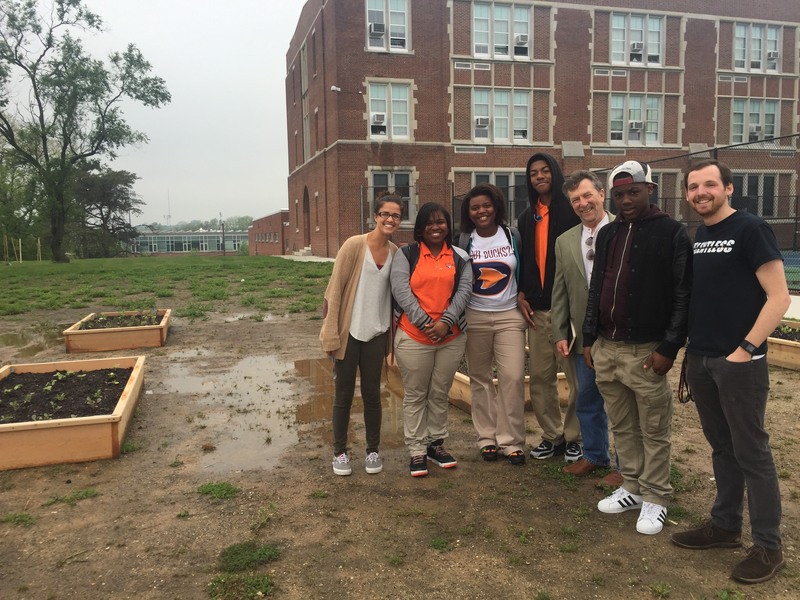 We close out the show with a visit to the urban garden at Frederick Douglass High School in Baltimore. Two weeks ago we discussed US Secretary of Agriculture Tom Vilsack’s visit to Douglass to see their urban garden and discuss the role of urban agriculture in education. Last week, Steiner Show Senior Producer Stefanie Mavronis and I visited Douglass to talk to the two teachers who started the project — Amanda Briody and Chris Jennings – and hear from four of the Douglass Freshman students currently involved in the program: La’Asia Howard, Dominic Scruggs, Nykerra Williams, and Maleke Smalls. Would like contact info or share my email to the teachers at Douglass as the students need plants to attract bees for pollination. I can donate a few plants to help out.